Hi everyone. Don’t ever develop GOUT, my god it is seriously painful. 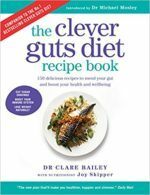 I’ve had it twice in 5 years – probably from alcohol binges, but recently – because of stomach ‘problems, I read Michael’s book, ‘ and after experimenting with ‘Fermented Food & Drink’ – I had (and still have it as I write) a very very painful Gout attack. I’m now 6 weeks into experimenting (experifermenting 😉 and something has brought on the attack?? My chosen products are Kombucha, Kefir, Sauerkraut, Gorgonzola and Roquefort (live) Cheeses…… Buying ready made Kombucha is easy so that was the first sampling….. No problems – in fact great improvements to the stomach twinges. The second was Kefir…… Never heard of it, but bought a fresh culture and within 24 hrs was growing my own source. 3 days later I had my first taste……Jeez, it’s like drinking strong sour yoghurt (but not ‘off’ or mouldy)…..No problems. As Michaels’ book suggests “slowly introduce other foods/drinks”. The next was Sauerkraut (fermented but pasteurised Cabbage)……. No problems. Snacking – I delved into the cheeses…… No problems……then BOOM!!!!! Gout, manifesting itself as pain in the big toe and under the ball of the foot……….So much so, I had to ask my NHS Doc’s “What’s the problem and how can I cure it”?? [Standard response – pills!!!!] “Can I have a blood test – now” The best they could do was 14th of July – 3 weeks!!!! Are they mad or just stretched???? So the only way of finding out what is going on is a FULL private BLOOD test and as I await the results of yesterday [26th June] I wish to ask you ‘Friends of Fermenting’………. HAS ANYONE HAD A REACTION LIKE GOUT?????? GPs are generalists, not specialists in nutrition/ dietetics/ lifestyle modification/ gout and arthritis. They tend to opt for the solution that is fastest acting and/ or backed by the most scientific evidence. This is often a prescription drug (allopurinol, for example, has been used for decades). Have you been keeping a detailed food and symptom diary, with weighed or measured quantities? – how the dairy (esp. the cheeses) impacted your overall daily intake of animal proteins/ animal fats. It is REALLY easy to eat too much protein when having it at meals and for snacks. It is a lot more challenging to overeat low sugar fruits and non starchy vegetables! HTH, thanks for the reply. My diet hasn’t really changed dramatically, I (think) In Feb 2017 I was given a large dose of antibiotics and then the problems started. Not being ABLE to eat for stomach pain, I used some LipoTrim packs which I had in stock [all the nutrients but no massive calorie input] overall lost 21Lbs. Slowly I went back into small solid foods. From a CHANGE point of view, I dropped wine for Becks Blue (0%) – sometimes 3 a day. Proteins? Yes, seafood, shellfish, fresh fish 3 times a week. Chicken, Steak, plenty of greens – but asparagus and avocado? ?, no sugars ……no change. Then assuming it may? be as described in Michaels book, I started with Kombucha for a week, then I made Kefir and ‘feelings’ were much better – then BOOM. The blood test haven’t come back yet, but I’m on Colchicine and as I write the Gout has almost gone – BUT I’ve dropped all heavy proteins and especially the Kefir and the beer. Strangely 1/2 bottle of red wine hasn’t made any difference – so it has to be one (or all) of the purine heavy foods or drink. I’m probably going to start again with ‘fermented’ slowly, but the penalty of an attack is horrendous. Any observations???? I wonder how the release of fat and protein from your ‘stores’ (ie. muscle and bodyfat) and your organs processing of of that affects gout. A question for a dietician or doctor! I would suggest working on prebiotic intake, in order to feed the good microbes from the fermented foods you can tolerate. As Dr Mosley advises, *at least* seven portions of fruit and veg a day from the full rainbow (blue/ purple, red, yellow/ orange as well as green). Plus some beans/ lentils/ nuts/ seeds as you can tolerate. Secondly monitoring, and potentially reducing, your intake of animal protein and animal fats. Do limit your portions to official guidelines: meat and fish the size and thickness of your palm or a deck of cards (100g+), harder/ high fat cheeses the size of a matchbox (~30g). Even then these are surprisingly high in protein, so it may well be meals OR snacks. Oh dear……… With the past gout attack being painful but short, I was very careful to try and work out what started it. Starting afresh, First – Kefir – in small doses…seemed to be OK. Kombucha (bought in from ‘IloveKombucha’) that seemed to be fine too. Red wine (2 glasses per day ) …OK, then I tried ‘Becks Blue’ – BOOM!!!!!! Not the big toe this time but the HEEL – OMG, 10 days and I just couldn’t shift the pain as it moved into the two inner small toes…… Stopping everything and a 10 day course of Colchicine has only just removed the horrendous pain. So, I’m not keen to PROVE Becks zero is the culprit as it lasts now too long and the pain is bloody horrendous. Bugger, I have both Gingerr Kombucha (own brew) bubbling and Kefir in stock. I’m going back to Kefir for a week..Then I’ll try the Kombucha again and simply leave out the beer. But you know – there’s other ‘purines’ that could have ADDED to the trigger – Avocado & Prawns. Until I have proved what’s triggering it, I’d rather stay pain-free. Incidentally, I had £350 worth of private blood tests – nothing!!!!! I can only reiterate the importance of keeping a detailed food and symptom diary, with weighed or measured quantities. Two glasses of red wine a day … every day or twice a week? What volume is the glass? How many alcohol units a week does that represent? Same sort of questions apply to animal fats and animal proteins. alcoholic or not – is quite a lot of essentially a junk ‘food’ (contains sugars and additives; if carbonated may irritate the stomach). Starting back at square one**…… just eating good stuff, veggies, no wine, absolutely no beer! !, no avocado or shellfish….. this time it took 10 days to get clear of painful gout. ** Started with Regular Komboucha (bought and DIY) – nothing. Kefir (DIY) – nothing. All the LIVE cheese of past – nothing. Goats yoghurt – nothing. Wine in small doses (1x 125ml at meals 4-5 times per week – nothing. But noted losing 1lb per day on average?? Weird…. It has to be the BEER. Since taking regular Kombucha and Kefir, the stomach ‘irregularities’ have subsided. I’ve also paid attention to the ‘Indian’ advice [no Kefir on an empty stomach, after a meal and not at night] THAT has helped (something?) a great deal. So MODERATION may be a good guide. Incidentally – the HomeMade Kefir has lasted well over a month in the fridge – oh!! and the skoby is now a monster writhing in the 7 litre jar….. anyone want to make their own – I’m in Stockport. Hi Daze Off, I am interested in making my own kefir, but know little about it. I was going to try ordering something online, but on the other hand you seem to be very local 😁 as I live near Stockport too, would you be able to show me the process and let me have some of the scoby?